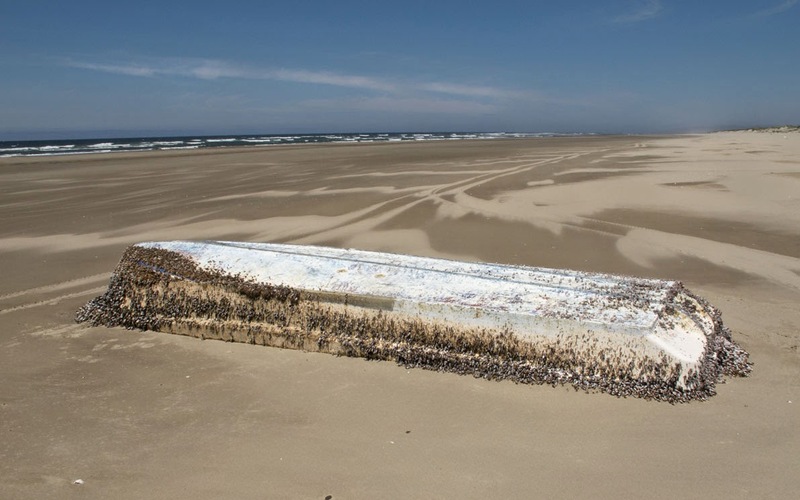 Adding to the enormous amount of marine debris that has washed ashore on eastern Pacific shores this week, two more boats (one intact, the other partial) and a small section of floating dock have washed ashore in Oregon today. The first boat, although somewhat dilapidated, contained some biological surprises- three live sea stars, an anemone, mussels and the giant red barnacle which has made many appearances- Balanus rosa. 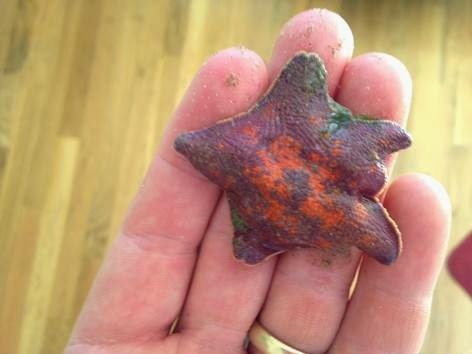 The sea stars have been confirmed to be of the species Patiria pectinifera, a Japanese species- meaning they have made the journey intact across the Pacific Ocean. Sea stars are predators, so they likely survived by eating barnacles and bivalves attached to the boat as it floated. 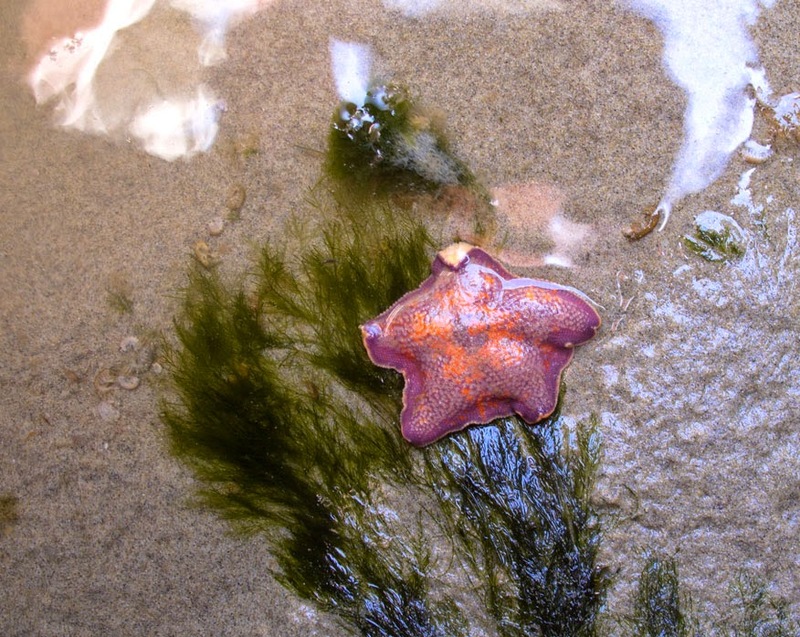 The concern is that invasive species could continue to do this and establish themselves in the rocky intertidal zones of the United States and Canada- potentially displacing important keystone predators such as purple and sunflower sea stars. The second boat came ashore near Tahkenitch Lake and was in excellent condition. It was approximately 22 feet in length, and had an intact hull ID plate, which will help to trace the vessel back to its original port and owner. 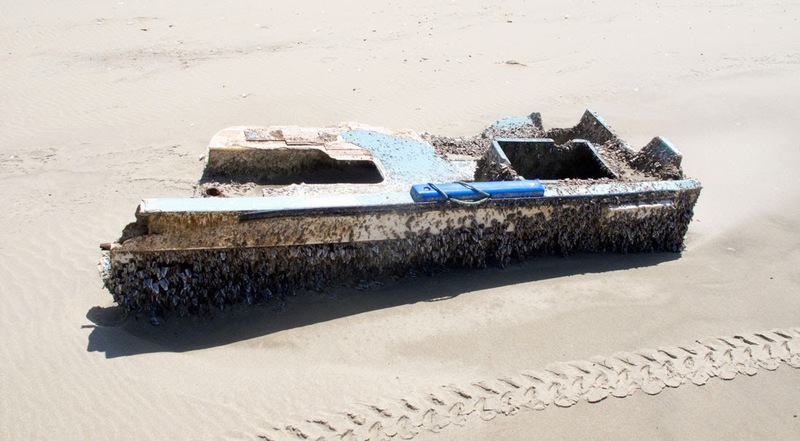 The boat was much less biologically diverse, and contained mostly pelagic gooseneck barnacles. Lastly, near the outlet of the Suislaw River (adding to the pattern that marine debris tends to wash up near fresh water outlets), a small section of dock as well as a net washed up. 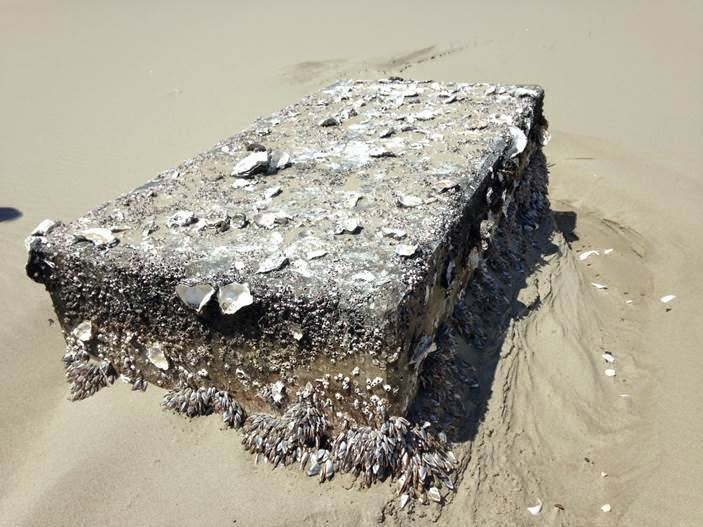 The dock section was approximately 6' x 4' x 4' and had two live limpets on it. 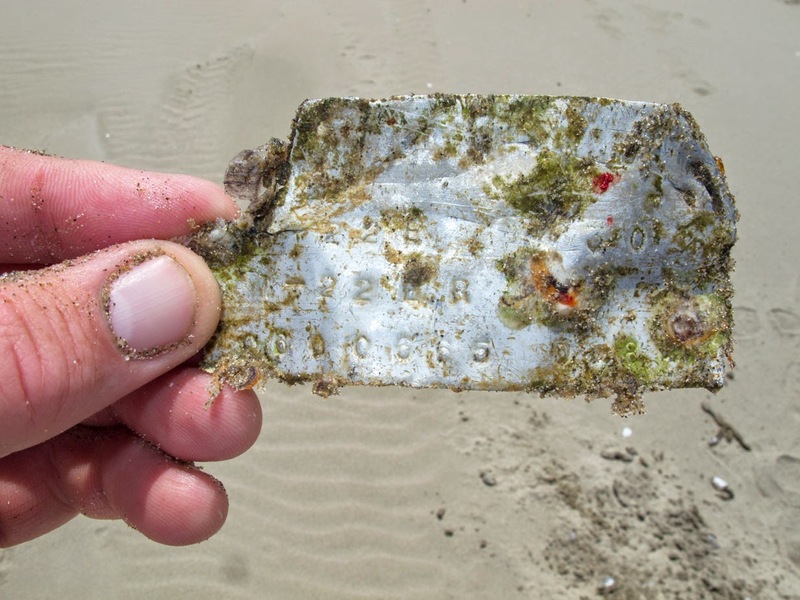 Limpets have been an unusual occurrence on Japanese tsunami marine debris thus far, but have made a couple appearances in this recent pulse of items from Japan. Reports of more major and culturally-significant debris are likely to pour in these coming weeks- come back soon! 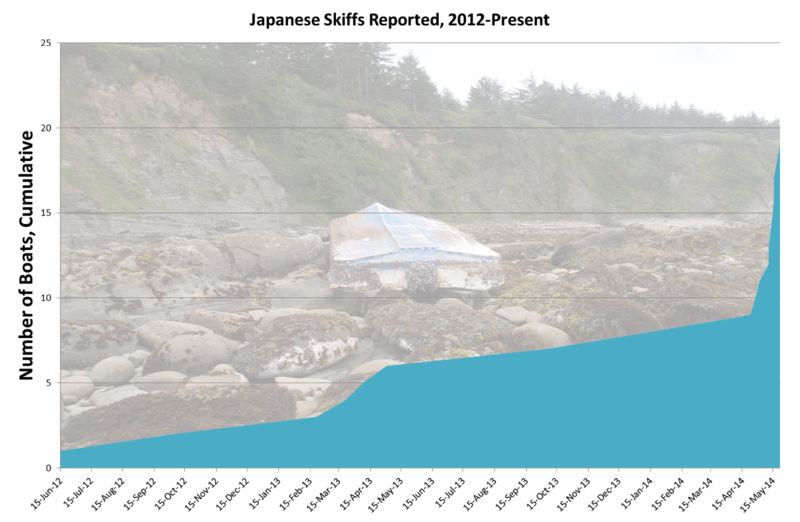 A special thanks to Scott Groth (ODFW) for the excellent sample collection and photography of the latest debris. Great blog! I'll have to make sure to check it out on the regular! Hope to meet you again soon!